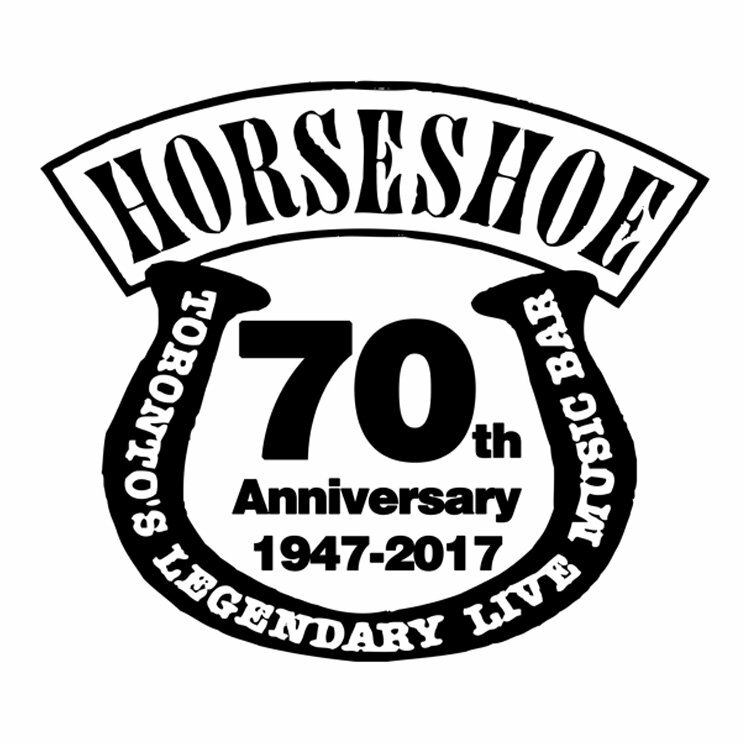 Toronto's Horseshoe Tavern is set to celebrate its 70th birthday this December, and to mark the occasion, the historic venue has lined up a star-studded concert series. Running from September 26 through December 31, the series features artists past and present who have graced the stage at "the Shoe," performing multiple night "underplay residencies," in addition to single evenings. The series will open with Billy Bragg performing solo acoustic and electric sets from September 26 to 28. Bragg's set on the 27th will feature music from Life's a Riot with Spy vs Spy, Brewing Up with Billy Bragg and Talking with the Taxman about Poetry, while his show on the 28th will draw from Workers Playtime, Don't Try This At Home and William Bloke. Other artists set to celebrate at the Horseshoe in the month of October are D.O.A., Hollerado and the Pursuit of Happiness, while evenings with Elliott Brood and 54-40 have been lined up for November. Tickets for all shows go on sale Thursday (August 3) at 12 p.m. EDT and will be available via Ticketfly, Rotate This, Soundscapes and the Horseshoe Tavern's Box Office.